On my Lykken on Lending broadcast, I recently got the opportunity to have an amazing discussion with industry expert Casey Cunningham of XINNIX. Among other things, Casey and her team host a highly successful workshop on recruiting. When looking for superstar loan originators, Casey advised four basic steps. Over the next week, I will be offering my thoughts on each of them. The first step in hiring the best LOs is for lenders to go to the appropriate sources. You have to know where to look. The best matches for your organization aren't going to show up on your doorstep or magically appear on your radar. You've got to go looking for them through the proper channels. One great way to locate LOs with high potential is to go through your current LOs. Ask your team about the competition. Who is taking away your customers? Who is closing deals that your current LOs are letting slide? Those might be the people you want to target with your recruiting. It doesn't take much. According to Casey, lenders need only spend one hour each week with targeted focus on recruiting to dramatically improve their team and their position in the marketplace. It really all comes down to discipline. You've just got to be willing to stick with your commitment to put in the time and do the research. If you do, the results will be remarkable. I guarantee it. David Lykken is 40-year industry veteran who has been an owner operator of three mortgage banking companies and a software company. As co-founder and Managing Partner of Mortgage Banking Solutions, David consults on virtually all aspects of mortgage banking with special emphasis executive leadership development, corporate strategic direction and implementation as well as mergers & acquisitions. 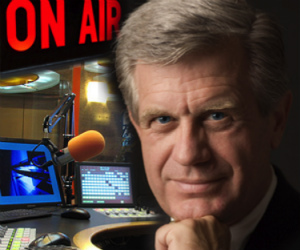 A regular contributor on CNBC and Fox Business News, David also hosts a successful weekly radio program called “Lykken On Lending” (www.LykkenOnLending.com) that is heard each Monday at noon (Central Standard Time) by thousands of mortgage professionals. Recently he started producing a 1-minute video called “Today’s Mortgage Minute” that appears on hundreds of television, radio and newspaper websites daily across America.